Window Sliders, Davidson, NC | G&S Contracting, Inc.
Our team of experts is experienced in installation and maintenance of window sliders in Davidson, NC. Window Sliders in Davidson – Window sliders are ideal in rooms where you want to allow fresh air and sunlight to enter the space. At G&S Contracting, we install leading products from Sunrise, including window sliders that are designed to be durable and perform well. Lower-end windows tend to stick frequently, making them very hard to open and close properly, but our windows will provide years of easy use and visual appeal. Upgraded windows are also much more energy efficient than older options, so replacing yours often results in lower utility costs and improved air circulation. Our team of experts at G&S Contracting is experienced in installation and maintenance of window sliders, as well as a wide range of other products. Our business has been working in the Davidson, North Carolina area for 39 years, and our partnership with Sunrise Windows ensures that you will be satisfied with the results. We provide service during normal business hours Monday through Friday, as well as between 10 a.m. and 12 p.m. on Saturdays. If these times don’t work with your schedule, we can also schedule appointments outside of those hours. We are a three-time award-winning organization that strives to provide excellent service and high-quality products to each of our customers. In addition to window sliders, we can also install, repair, or replace a variety of other types of windows, so give us a call to learn more about what services are available in your area. 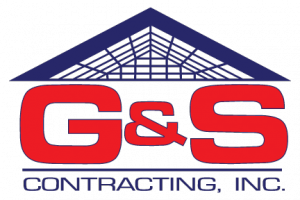 At G&S Contracting, Inc. we offer the highest quality Window Sliders to our customers in North Carolina including: Mooresville, Cornelius, Davidson, Huntersville, Charlotte, and Lake Norman, North Carolina.